Today we visited Krokslatt, Kunskapsskolan in Goteborg, Sweden. Within this system there are 25 secondary schools (students aged 12-16) and 8 senior schools. In all there are 10,000 students and 900 staff across Sweden, with schools also now in UK and USA. 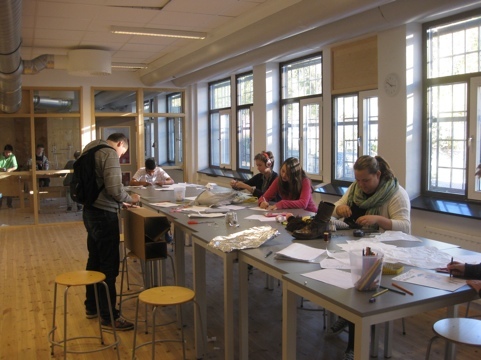 Krokslatt commenced just over a year ago, and has a community of 250 students. The school has a student:teacher ratio of 1:16, and will grow to 1:20 as the Kunskapsskolan ideal. When the school was recruiting staff there were 300 applicants for the 25 positions available. These schools are usually ranked in the top five in the city, as measured by the standardized tests. From the outside this particular school building looks unremarkable. A former jewelry factory has been converted to a school. This is a signature of the Kunskapsskolan model, start a school in an existing building, that can be renovated within the style to meet the needs of the school. On each level of the building the spaces are divided into areas for explicit teaching, workshop time (individual/group work) and quiet and specialist areas. 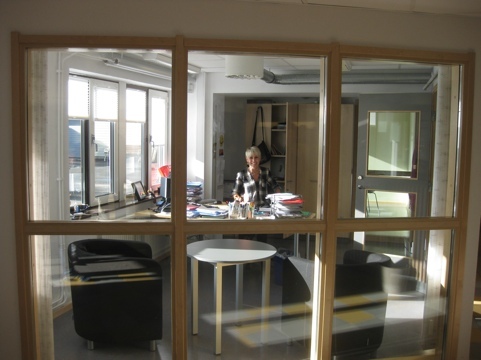 Krokslatt has been operational for only a year, and the principal, Marika, has been the foundation principal for three of the schools. Marika is a dynamic and energetic principal, who knows the school community and supports the values. She is obviously known, liked and respected by the students. This model of schooling works within a clearly defined system. The day includes lectures, communication lessons, lab work, workshop/group learning, projects and private study. 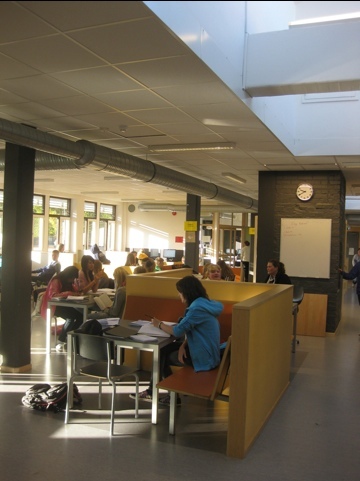 The Kunskapsskolan system for personalized learning works with ‘steps’ and ‘courses’.The steps facilitates student learning in accordance with their capacity. It enables the scheduling of more time for students who find subjects difficult, or to skip through the steps when the content is known. Steps cover English, Maths and Modern Languages. Courses are the remaining subject areas and can reflect a common theme across several subjects. Students have a choice of achievement level and can focus on one course at a time. As with steps there are explicit goals and grade criteria. Within this personalized approach students take responsibility for their learning, setting achievement goals. These goals look into the future, to Year 9, and also immediately, this week. The students can and do set achievable goals for their future, a valuable skill. The terms mentor and coach is used to describe the relationship between the teacher and the student, providing an important role to guide the goal setting journey. The dress code, jeans are normal for staff and students. 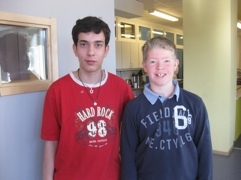 Across Scandinavia teachers and the students communicate on a first name basis. Respect is mutual, between adults and students, and doesn’t seem to need formal titles to ensure it is given and received. The schools are designed with openness, colour and fun. There are no dark corners, but lots of windows and natural light. Marika’s is office jokingly called ‘the aquarium’ and reflects this. Walking into the building we immediately saw a glassed office, visible to all. This was Marika’s office. It wasn’t hidden in the back of the school, but open, visible and centrally located. 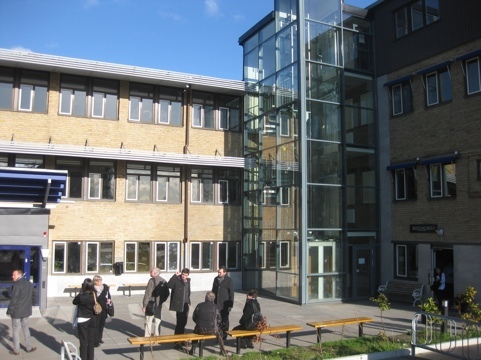 The Kunskapsskolan model is a well-supported system. The individual school has a very lean administration team and is centrally managed by the system as a scalable operation. There is a head office and regional leaders who will work with each school principal. I do apologize for this analogy in advance, but one of our group made the comparison with another Swedish institution, Ikea. Bright friendly design and replicable and scalable systems. This school has made quite an impression on the group. We saw a school that lived its values and had students who were committed and engaged learners.